We want to set the record straight on elephants. First of all...elephants don't like peanuts. They aren't afraid of mice either. But elephants do try to avoid small critters like ants, which can irritate their sensitive trunks if they get inside. 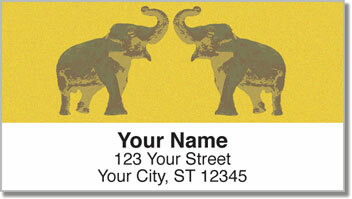 And when people say "an elephant never forgets" - that's true too. For example, a mother and daughter elephant were observed recognizing each other after more than 20 years. If you're intrigued by this animal, you already know about it's incredible intelligence and amazing displays of emotion. 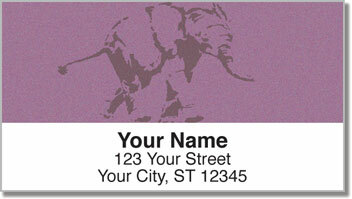 Now you can finish each envelope you mail with artistic images of elephants. 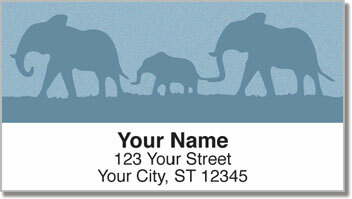 A self-adhesive backing makes the tiresome task quick and easy! 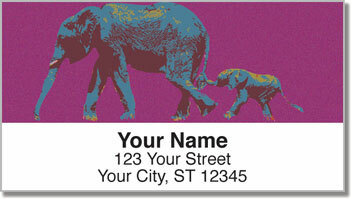 Order your very own Wild Elephant Address Labels today! Get them right now with a set of matching checks.